Sleeping Beauty Castle at 60. 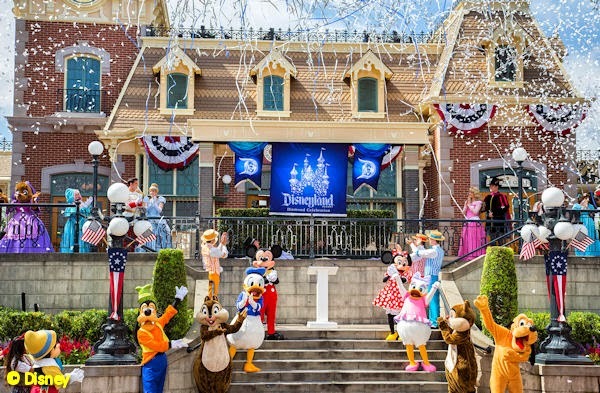 Spring has sprung all over the Disney parks, especially at Disneyland where they're ramping up for the Happiest Place on Earth's 60th birthday. Silver and blue Diamond Celebration decorations are showing up all over Disneyland, most notably on Sleeping Beauty Castle, which may look sharper now than it did during the 50th anniversary. And yet, with all this hoopla ready to commence, Anthony and I are more fascinated with the soft opening of Trader Sam's Grog Grotto at Walt Disney World's Polynesian Village Resort. It must be the tropical ambiance or the high-tech Tiki effects that hooked us. Naah....it's the booze. I want a Nautilus cocktail badly. Innoventions West at Epcot is closing down for a spring refurb and will eventually welcome new sponsors to replace departing T. Rowe Price and Liberty Mutual. At least it will be back. Innoventions at Disneyland is done today. Have you ever wondered how you'd look as a Star Wars action figure? You can find out next month during Star Wars Weekends at Disney's Hollywood Studios where they're bringing back D-Tech Me. Get a 3D scan of your face done and it will be rendered on a 7-inch or 16-inch Star Wars figure. You can be a Stormtrooper, a Jedi Knight, or even a hapless prisoner frozen in carbonite. Prices start at a hundred bucks. Find out more on the Disney Parks Blog. 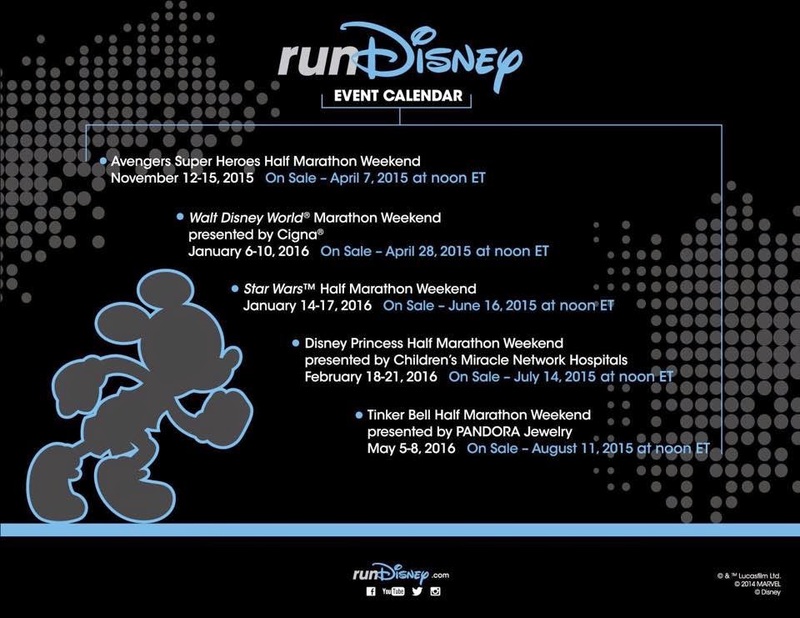 runDisney posted their upcoming schedule of events at Disneyland and Walt Disney World. Time to start training. Broadway star Audra McDonald will play the Wardrobe in Disney's upcoming Beauty and the Beast, which I have to spell out because Anthony has no idea what "BatB" means. Cinderella continues to perform strongly at the box office, especially overseas. The reboot of Disney's animated classic just passed the $300 million mark at the worldwide box office. Want to know why Disney keeps remaking their animated films in live action? Because they make obscene amounts of money, hello! Are you getting Star Wars: Rogue One confused with Mission: Impossible, Rogue Nation? Me neither, but Disney/Lucasfilm and Paramount have cut a deal to keep Rogue One away from mainstream advertising until Rogue Nation has run its course. Rogue Nation, starring Tom Cruise, will hit theaters on July 31st. Rogue One will get a solid mention at Star Wars Celebration in a couple of weeks, but don't expect to hear anything else significant about it until December when Star Wars: The Force Awakens makes its debut. 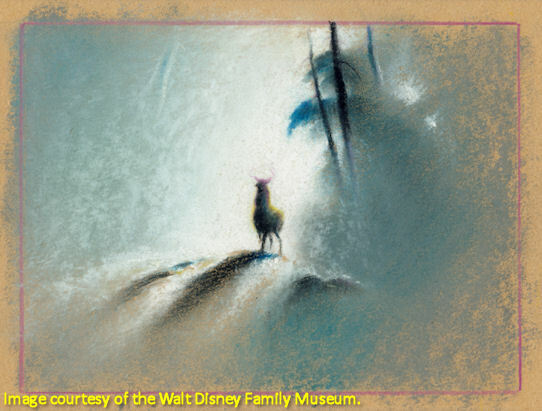 Water to Paper, Paint to Sky: The Art of Tyrus Wong was a remarkable exhibit at the Walt Disney Family Museum in 2013. You can now catch it on the East Coast at New York's Museum of Chinese in America through September 13, 2015. It's a wonderful celebration of the Disney Legend who gave life to Bambi and, at age 104, is still producing art. Fancy Nancy, the title character of a successful series of children's books, will see her adventures turned into a movie on Disney Junior. My granddaughter is giddy. Does your child have a unique vision of the future? Hopefully, everyone's child does, but the right idea could get your kid $3,000 and some other cool prizes in Disney's Create Tomorrowland--XPRIZE Challenge. Find out more at www.xprizechallenge.org. Sometimes, you just have to bring in a couple of experts to handle the job. After reviewing Cinderella two weeks ago, it was time to let my grandkids take a crack at it, because what do I know about Disney movies? My three-year old grandson was a bit hesitant to talk about Cinderella, because, well, it's far more entertaining to run around the lobby of a theater giggling. My granddaughter stepped right up to the challenge, though, and had some pretty insightful things to say about kindness, really big ball gowns and those tiny snowmen in Frozen Fever. Take a few minutes to look at and listen to a kid's-eye view of a classic fairy tale in today's Mouse Castle Moment. Enjoy! Here's something new from The Mouse Castle: Mouse Castle Moments. These are short videos about cool stuff going on in the world of Disney. Today, I take a look inside Trader Sam's Grog Grotto at the Polynesian Village Resort at Walt Disney World. The official grand opening won't be for a month, but if you're lucky, you might get in on a little soft opening action starting today. 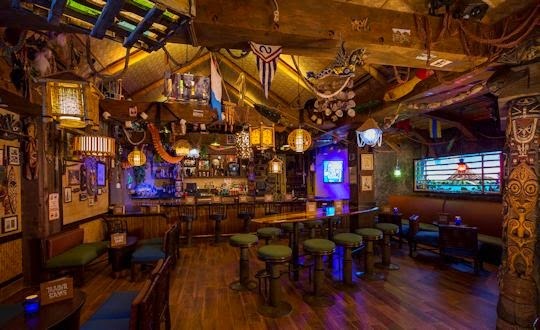 Have you had a chance to check out Trader Sam's Grog Grotto yet? Please share your thoughts in the comments below. Floyd Norman, me and our dalmatians. Floyd Norman loves Disney and appreciates the many years he’s worked for the company as an artist, animator, cartoonist and story man. But, he’s never been afraid to tweak the nose of management or pretentious artists that truly deserve it. If you follow Floyd on Facebook or read his Mr. Fun blog, you’ll see what I mean. Better still, visit iBooks and check out Floyd’s sharp and clever collections of gag cartoons like Suspended Animation, DISK DRIVE and Son of Faster, Cheaper. Last week, I talked to Floyd about his early career at Disney and his work on films like Sleeping Beauty, The Sword in the Stone and The Jungle Book. Today, Floyd talks about what it was like to work for Walt Disney, John Lasseter and Steve Jobs, why he still respects former Disney CEO Michael Eisner and how Floyd rescued Thunderbolt the Wonder Dog from certain death on the Blu-ray release of 101 Dalmatians. Give a listen to part two of my conversation with Floyd Norman in The Mouse Castle Lounge. Enjoy! 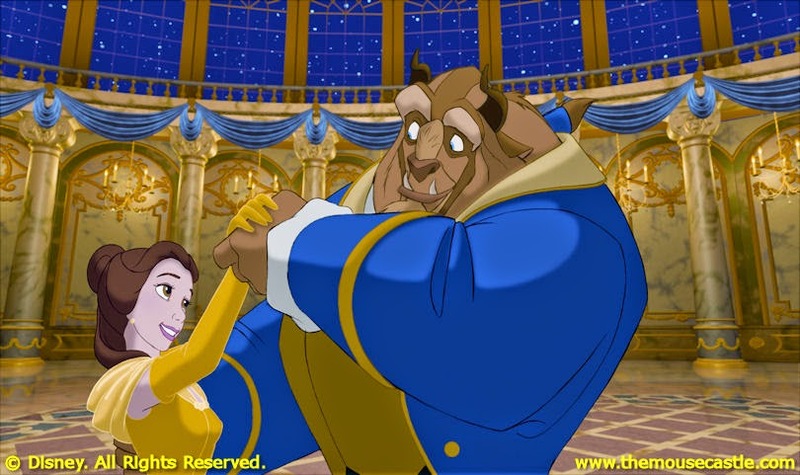 Beauty and the Beast gets a live-action treatment in 2017. Cinderella opened on Friday to positive reviews and solid box office sales. Maleficent and Tim Burton's Alice in Wonderland were mediocre films at best but made buckets of money for Disney. Now Burton is back to take on another one of Walt's animated classics. He'll direct a live-action version of Dumbo. No, really. Meanwhile, director Bill Condon is assembling a dream cast for a reboot of Beauty and the Beast. Emma Thompson (Mrs. Potts), Kevin Kline (Maurice) and Josh Gad (LeFou) are the latest to join the ensemble in a film slated for release in 2017. So, the question remains, is it still a good idea for Disney to remake its stable of animated classics as CG-heavy live-action films? Anthony and I jump into the fray in this edition of Inside The Mouse Castle. 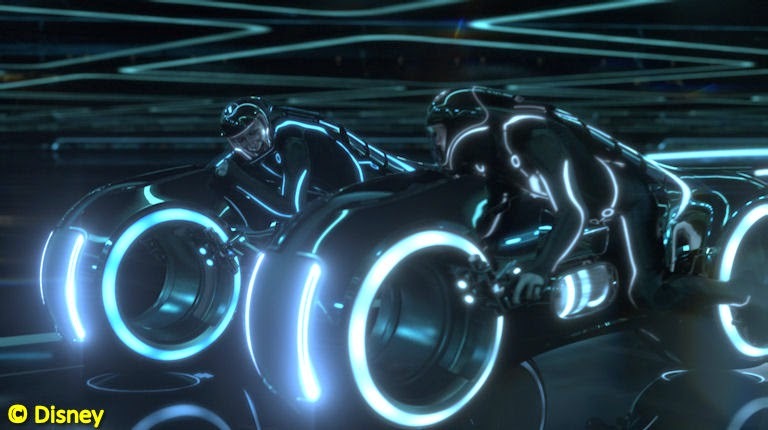 We're getting conflicting news about a third Tron movie, but it looks like it's a go with Joseph Kosinski (Tron: Legacy) directing and Garrett Hedlund returning to play Sam Flynn. Shooting could start in Vancouver this fall. Disneyland and Walt Disney World will kick off the summer season with what has now become a tradition: a 24-hour party on Memorial Day weekend. The "Coolest Summer Ever" starts at 6:00 a.m. on May 22nd at Disneyland, Disney California Adventure and the Magic Kingdom. 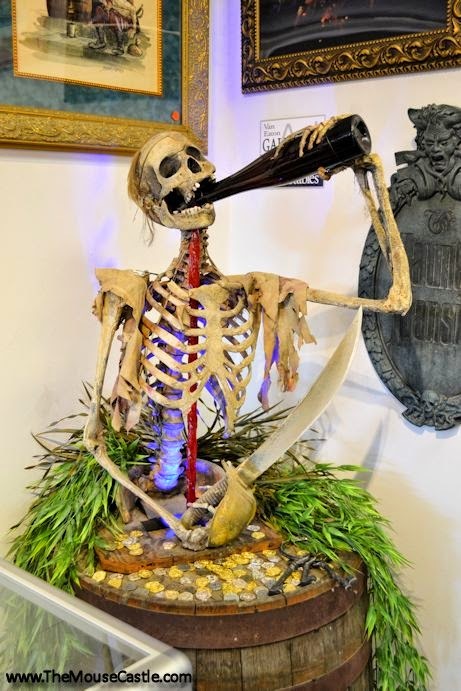 The party won't end until 6:00 a.m. on the 23rd. Ready to pull an all day and all nighter? Start resting up now. Disney California Adventure's conversion of Condor Flats to an expanded Grizzly Peak will start to reveal itself on Friday when Smokejumpers Grill (formerly Taste Pilots) opens. The rest of the expansion, including an enhanced Soarin' Over California, will gradually reopen later this spring. Star Wars: The Force Awakens opens on December 18th, but the expected merchandising blitz will precede it. Twenty Star Wars-related books will hit stores leading up to the film's release. Want to have a bit of tournament fun that has nothing to do with basketball this month? Cast your votes during "March Magic," which pits 32 Disneyland and Walt Disney World attractions against one another. Are you a Flying Elephant? A California Screamer? Maybe you're a Space Mountain Blast or a Caribbean Cannonball. And did we mention there are t-shirts? Get them now before your favorites are eliminated. Cate Blanchett is evil in Cinderella. Anthony and I just couldn't contain ourselves. There was so much new Disney news to talk about, we couldn't wait until Monday. We had to do a show. Now. Welcome to this special episode of Inside The Mouse Castle. It's the Cinderella/Disney Shareholders Meeting Edition. I saw Cinderella last night. Going in, I wondered why it was necessary to once again make an updated live-action version of a Disney animated classic that got it right the first time. My disdain for Maleficent and Tim Burton's Alice in Wonderland certainly hadn't warmed me up to the idea of this fairy tale retread. But, guess what? Cinderella is a delight from start to finish. It takes a straightforward, confident approach to the oft-told tale and peppers it with spirited performances and sumptuous visuals and costume design. It goes light on the revisionism that has damaged Disney's recent remakes, but makes the characters relatable to contemporary audiences. Cinderella (Lily James) still lives out the ultimate wish-fulfillment fantasy, but she's no passive waif waiting for her prince to come. She has the strength and spirit to defend herself, especially against her wicked stepmother Lady Tremaine (a deliciously evil Cate Blanchett). Listen to my full review of Cinderella in today's episode and ruminate on these other hot topics Anthony and I toss about. Apparently Bob Iger created a bit of a stir at yesterday's Disney shareholders meeting in San Francisco. There are three, count 'em, three new Star Wars movies on the docket. The Force Awakens you've probably heard about. Likewise Episode VIII, being directed by Rian Johnson (Looper), but we've got a release date for it now: May 26, 2017, exactly 40 years and one day after the original Star Wars debuted. New to the mix is Rogue One, a standalone SW film starring Felicity Jones (The Theory of Everything) and directed by Gareth Edwards (Godzilla). It begins shooting in London this summer and is scheduled for release on December 16, 2016. There will be a Frozen 2, which comes as a surprise to no one. No other details yet, not even a release date, but Frozen directors Chris Buck and Jennifer Lee are apparently hard at work on the project. By the way, Frozen Fever, the short film that opens for Cinderella, is a perfectly awful cartoon experience, but I digress. In answer to an innocent question from a child at the shareholders meeting, Bob Iger let slip that Disney's Hollywood Studios at Walt Disney World will soon undergo a name change. And he won't tell us what it is. Tease. 20 years of Indy at Disneyland. Last week was about as busy as you could imagine if you're a Disney fan--and that's a good thing. New movie trailers, some juicy movie rumors, new cast announcements for Beauty and the Beast, the imminent closing of Innoventions and the 20th anniversary of the Indiana Jones Adventure at Disneyland. Oh yeah, and Han Solo crash landed the Millennium Falcon on Tatooine. Or something like that. 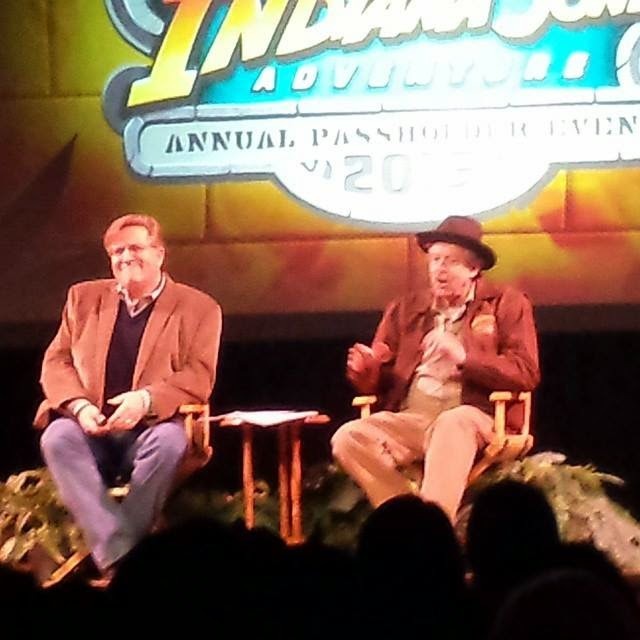 Anthony dropped in on a 20th anniversary celebration for Indiana Jones and the Temple of the Forbidden Eye. This exclusive Annual Passholder event saw Disney maven Tim O'Day swap stories with Imagineer and Indy designer Tony Baxter. A pleasant time was had by all. Guardians of the Galaxy director James Gunn let slip on social media that Marvel will not be in attendance at this year's Comic-Con in San Diego. Okay by us. We're hyped to get our share of the Cinematic Universe at the D23 Expo in August. We're also wondering if Lucasfilm will go the same route with Star Wars: The Force Awakens. Between the Expo and next month's Star Wars Celebration in Anaheim, does Lucasfilm even need Comic-Con? Movie fans held their breath, then let out a collective sigh of relief when Harrison Ford crash landed his single-engine plane on a Southern California golf course Thursday and escaped without significant injuries. We wish the 72 year-old actor a speedy recovery. A rumor has surfaced about the content of the next Star Wars: The Force Awakens trailer. We're intrigued, but it seems a bit too detailed for a trailer that's still more than a month away from its expected debut at Star Wars Celebration. And let's face it, speculating that Luke, Leia, Han, C3PO and R2-D2 will finally make an appearance is not really a stretch. 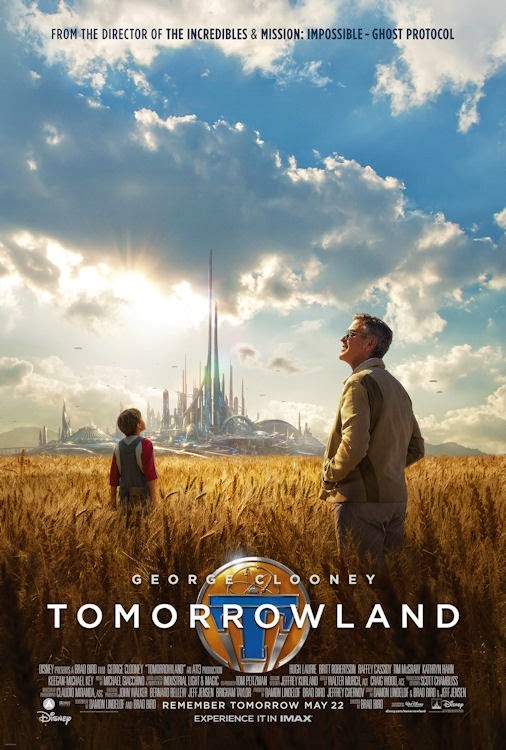 And have you seen the new movie poster for Tomorrowland? Dude, Space Mountain is in it. Wait, what? Luke Evans (Gaston) and Dan Stevens (Beast) are joining the cast of Disney's live-action Beauty and the Beast. Anthony and I aren't impressed, but apparently if you're female and have a pulse, this is a big deal. Pixar's Toy Story 4 will not be a continuation of the existing Toy Story trilogy--which is a relief. What it will be is a self-contained romantic comedy directed by John Lasseter. Assuming Woody (Tom Hanks) is at the center of the love story, Anthony has a brilliant idea of who should play the sheriff's new girlfriend. In fact, it's such a great idea, Anthony has been losing sleep over it. And it's no small coincidence he was in Seattle two weeks ago. Dear Internet: It's not CG. Even Lily James says it's a corset--and a damn uncomfortable one. Please move on. 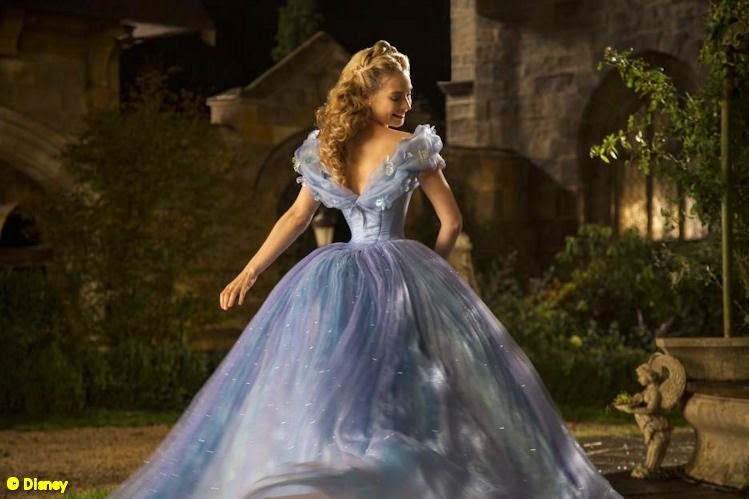 By the way, Cinderella opens in U.S. theaters on Friday. We really like this first glimpse at Zootopia. The Disney animated film opens next year (description courtesy Walt Disney Animation Studios). The modern mammal metropolis of Zootopia is a city like no other. Comprised of habitat neighborhoods like ritzy Sahara Square and frigid Tundratown, it’s a melting pot where animals from every environment live together—a place where no matter what you are, from the biggest elephant to the smallest shrew, you can be anything. But when optimistic Officer Judy Hopps arrives, she discovers that being the first bunny on a police force of big, tough animals isn’t so easy. Determined to prove herself, she jumps at the opportunity to crack a case, even if it means partnering with a fast-talking, scam-artist fox, Nick Wilde, to solve the mystery. Walt Disney Animation Studios’ “Zootopia,” a comedy-adventure directed by Byron Howard (“Tangled,” “Bolt”) and Rich Moore (“Wreck-It Ralph,” “The Simpsons”) and co-directed by Jared Bush (“Penn Zero: Part-Time Hero”), opens in theaters on March 4, 2016. Innoventions is closing up at Disneyland on March 31st to make way for...we're not sure yet, but we have plenty of ideas. And no, that doesn't mean Mickey's Toontown is closing too. How do these rumors get started? D23 has announced two fan contests for the upcoming D23 Expo. Are you artistic? 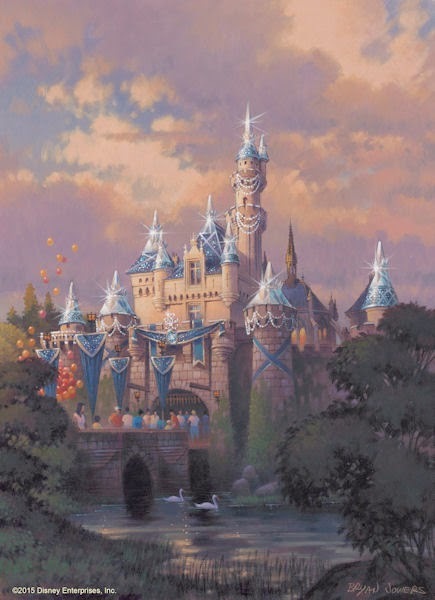 Show them your best Sleeping Beauty Castle and you could win $2,300. Is cosplay more your thing? Mousequerade could send you to Disney's Aulani Resort. Lily James, Sophie McShera and Richard Madden. Anthony and I take you on the red carpet in Hollywood for the premiere of the new live-action version of Disney's Cinderella. 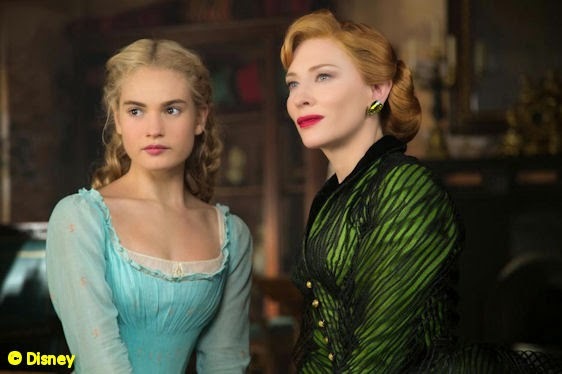 This updated fairy tale stars Lily James as the titled scullery maid turned princess, Cate Blanchett as her wicked stepmother and Richard Madden as her Prince Charming. Kenneth Branagh directs the film, which is scheduled to open in the U.S. on March 13th. On Inside The Mouse Castle, Branagh talks about the challenge of staying true to the animated Cinderella while updating the story for modern audiences. James also shares why her character is not the stay-at-home-and-wait-for-her-prince kind of princess. Also roaming the red carpet was Josh Gad, the voice of Olaf in Frozen. He's back with the whole gang in the new short film Frozen Fever, which opens for Cinderella. The film looks like it might be cute (even if it is Frozen), but we're really concerned where all those baby snowmen in the trailer come from. Robert Downey, Jr. and Omaze are teaming up to give you a chance to attend the world premiere of Avengers: Age of Ultron. I'm really excited at the prospect--and it's totally for a good cause--but Anthony has reservations about it. Or maybe he's just jaded and bitter. A fire at it's a small world caused more of an uproar on the Internet than it did at Disneyland Saturday night. The blaze, presumably caused by fireworks, did minor damage and there were no reported injuries. Reactionary people online, however--as is their custom--collectively lost their minds. Bob Chapek is the new chairman of Disney Parks and Resorts. He takes over for Tom Staggs, who was recently promoted to chief operating officer. 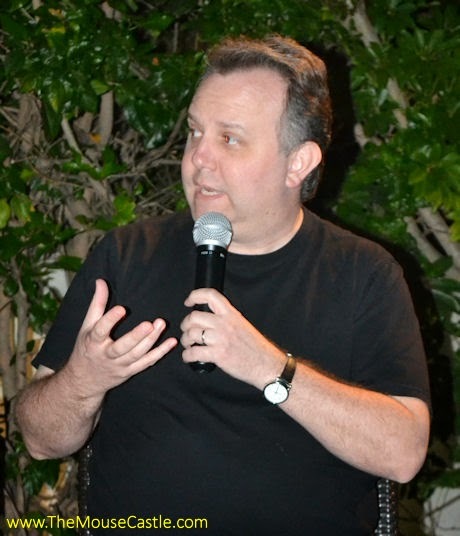 Chapek has put in 22 years with Disney and was formerly president of Disney Consumer Products. Next to Shanghai Disney Resort, Bob's biggest new project is the completion of "Avatar-land" at Disney's Animal Kingdom, or as Anthony calls it, The Wizarding World of James Cameron. Is anyone outside of Disney actually excited about this? Because we're really skeptical. Sure, Avatar is the all-time movie box office champ, but six years after its release, is it even relevant anymore? And two years from now when it's scheduled to open, will anyone care? Walt Disney World has announced the dates for this year's special event holiday parties at the Magic Kingdom. Mickey's Not-So-Scary Halloween Party will be held on select dates from September 15th to November 1st. Mickey's Very Merry Christmas Party will begin a week later on select dates between November 8th and December 18th. Tickets go on sale in April. For a complete list of dates, visit disneyparks.disney.go.com/blog/2015/02/dates-for-magic-kingdom-special-events-tickets-on-sale-in-april. We're hearing that Pirates of the Caribbean at Walt Disney World will close for a major--and much needed--refurbishment this summer. It's always been the ugly sister to POTC at Disneyland. Will it finally get the update it deserves? sold for $129,800 over the weekend. Van Eaton Galleries in Southern California concluded an epic auction of Disneyland collectibles and memorabilia over the weekend. The Story of Disneyland collection was expected to take in about $1 million. It blew right through that estimate and finished with a take of $1.7 million. Did you bid? Did you get the items you wanted? DuckTales is returning to Disney XD in 2017...woo-ooo!!! LEGO Star Wars: Droid Tales is slated to air on Disney XD before the end of the year. The series of half-hour episodes will tell the saga of both Star Wars trilogies through the eyes of C3PO and R2-D2. The awkward part is the story will be told in chronological order. Any true Star Wars fan knows the only way to tell the tale is by starting at the beginning of Episode IV.